Astrid Brodd MD studied at the University of Toulouse – France and the University of Gothenburg. She is a specialist in dermatology in Sweden since 1993, and in Norway since 1997. 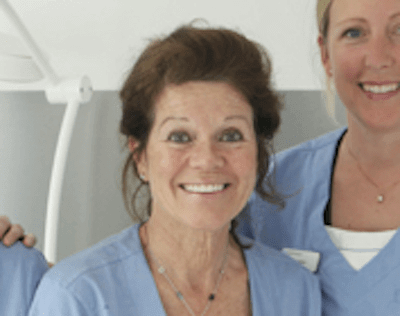 After 5 years as a consultant at the Department of Dermatology at Borås Hospital, she started up the Dermatology Clinic at the hospital Carlanderska 1998. She has extensive clinical experience in both the public and private care from among others Lundby Hospital, Frölunda Specialist Hospital, Sophiahemmet – Stockholm, Skin dermatology clinic and Grimmereds medical group. She also worked on Hudklinikken in Oslo, Scandinavian Medical Clinic in London and at the Royal Berkshire Hospital in Reading. Dr. Brodd is a member of the Swedish Medical Association, Swedish Society of Dermatovenerology (SSDV), private practice Dermatologers Association (PDF) and the General Medical Council – English Medical Association, Dr. Brodd is conversant in her native Swedish, French and English.